The $6 bln motorcycle maker clashed with Donald Trump over trade barriers. But its big problem is generational. With Hog-riding baby boomers aging fast and the appeal of big internal-combustion engines on the wane, Harley needs products that will spark millennials’ interest. 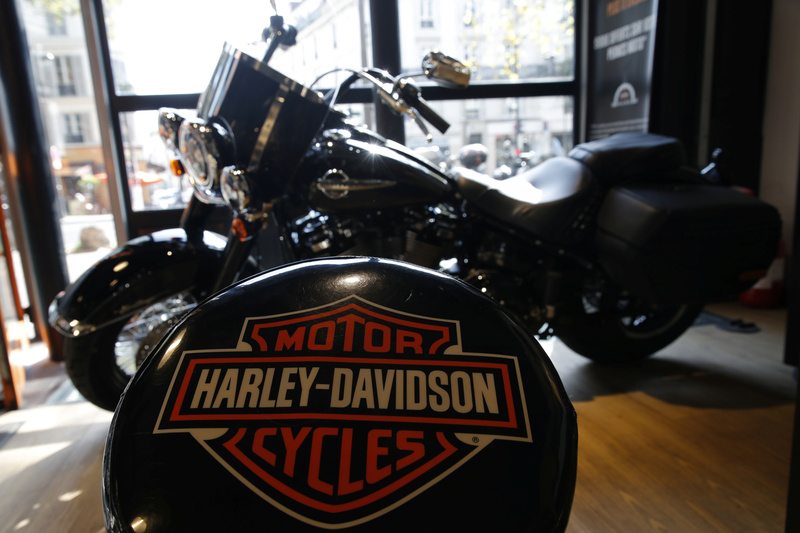 The logo of U.S. motorcycle company Harley-Davidson is seen on one of their models at a shop in Paris, France, August 16, 2018. Harley-Davidson said on Jan. 29 that earnings fell to $495,000 in the fourth quarter of 2018 from $8.3 million in the same period a year earlier. Excluding restructuring costs and the impact of trade tariffs imposed by the United States and other countries, adjusted earnings amounted to $28 million in the quarter or 17 cents a share, below the mean analyst estimate of 28 cents, according to I/B/E/S data from Refinitiv. Sales declined 9 percent in the period from a year earlier to $956 million. The company sold 10 percent fewer motorcycles in the United States than in the same period a year earlier, while international sales declined by a little under 3 percent. Executives forecast that worldwide shipments would decline by as much as 5 percent in 2019, partly an effort to shrink dealer inventories.